EISCO was recently contracted to dredge sediments from the lined water retention basin at a drinking water plant in Manalapan, New Jersey. 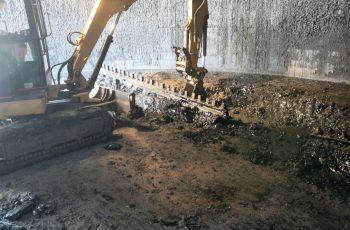 Using a remotely controlled cutter-head dredge, EISCO removed approximately 8,500 cubic yards of sludge. The sediment was dewatered and 5,800 cubic yards were transported off site for recycling and beneficial reuse. 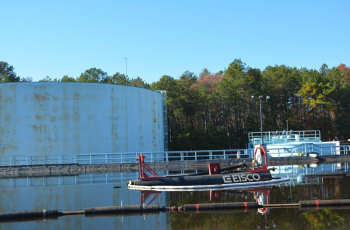 EISCO provided technical and professional services, supervision, labor, materials and equipment to accomplish the tank cleaning project of a 165’d x 42’h, flux oil tank at a Terminal in Savannah, GA. This was a large project with the tank containing approximately 4560 barrels of flux oil and an estimated 938 yards of in-situ solids before adding kiln dust. Water cutting door sheets for tank entry. Water cutting an 8×8 door sheet in two sections in the side of the tank. Vacuum removal of heated flux oil and contents. Loading transportation trailers for transportation to off-site facility. Transportation of recovered flux oil. 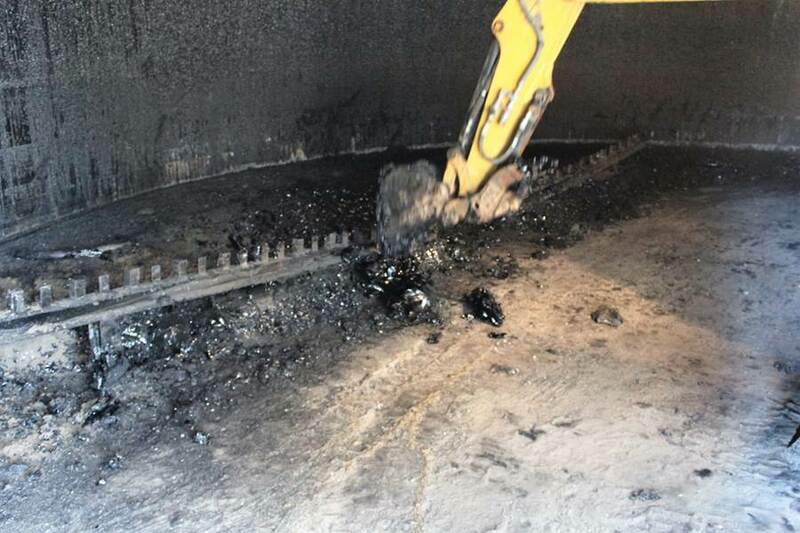 Dig out and bulk removal of asphalt and cleaning of tank floors and walls. Hydroblasting utilizing a 40,000 ultra-high water blaster to clean 17,001 square foot of tank wall surface. Removal of waste water and debris with vacuum truck and transferring for proper disposal. EISCO provided procedures for implementation and support of the tank cleaning processes as well as all labor, removal equipment, temporary piping, hoses, pumps, etc.